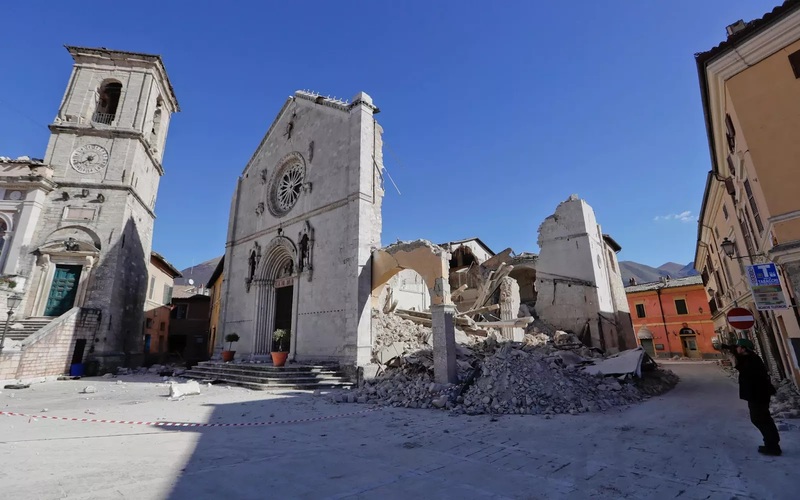 One year ago today a shallow mag 6.6 earthquake killed 3 and damaged world heritage buildings in the central Italian town of Norcia. It was the 4th major quake of in the area in three months, the quake was the 7th major quake of October and the 113th of 2016, regular readers of The Big Wobble will know this year only 83 major quakes have been registered in the same period in 2017, the report is below. A destructive magnitude 6.6 - 6km N of Norcia, Italy is the third major quake to hit the area this week and is the same area where a major quake struck in August killing three hundred people and destroying historic buildings. There are no reports of casualties as most people were evacuated from the area earlier this week. 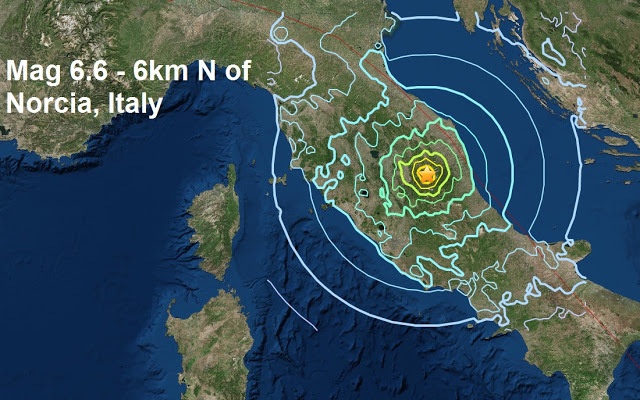 Tremors from the quake were felt as far away as Rome and Venice in the North. Sunday’s major quake was the 7th of October and the 113th of 2016.